The first World Heritage UK’s conference is taking place on 14th – 15th October 2015 at the Saltaire World Heritage site. 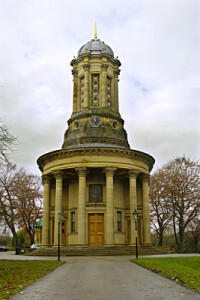 The conference will also focus attention on Saltaire’s United Reformed Church which is not only listed grade I, but is considered to be one of the nation’s most precious Victorian architectural gems. It was built and paid for by Sir Titus Salt in 1859 and is a focal point of the “model” village, Saltaire, that he built for the workers at his huge mill to ensure their spiritual needs were catered for.